Emory Lyndon is our Student-Athlete of the Week! 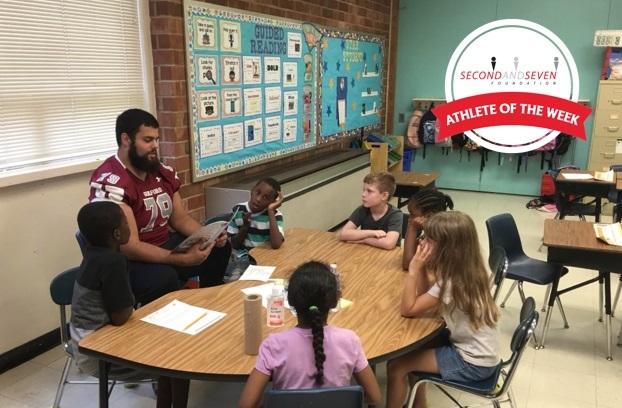 Emory is a Junior at Guilford College in Greensboro, NC, and is a member of the football team. He has been involved with The 2nd & 7 Foundation's outreach for 2 years. Emory shares, "I like giving back to the community and the kids. I like being able to do something that the kids look forward to." We love having Emory in our 2nd & 7 huddle!